The response was “go to the Cava do Vinhos da Campanha, a shop in Livramento which features the wines from the region of Campanha.” When one thinks about Brazilian wine, la Serra Guacha is what comes to mind. The Serra Guacha is in the mountains about 120km outside of Porto Alegre near the cities of Caixias do Sul, Garibaldi and Bento Gonzalves. The region was settled by Italians and Germans during the Second World War. So naturally, when I posed the question to Wines of Brazil “where should I visit while in Livramento, Brazil”, a blank was drawn and they sent me to a wine shop. 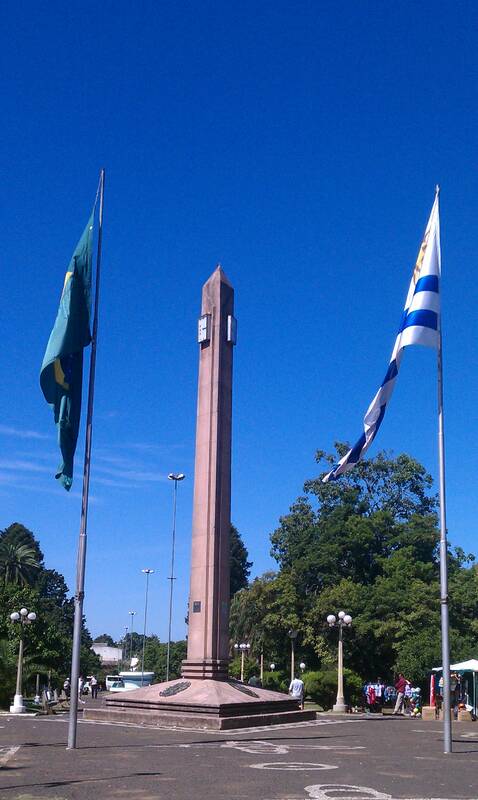 Livramento is the furthest southern city of Brazil and borders Rivera, Uruguay. Rivera is well known for its duty free shops. Many Brazilians spend their vacations traveling to Rivera to buy duty free items. Wine is the last thing on people’s minds when they come here, for that matter, wine is the last thing the average Brazilian thinks about. My wife, Claudia is from the small Brazilian town Santana do Livramento. My brother in law accompanied me to the small wine shop, la Cava do Vinhos da Campanha where we met another Claudia. Claudia runs the small boutique shop which specializes in wines from the region of Campanha. She greeted us with open arms and opened bottles for us try. Like all good Gauchas, she is really proud of her region’s wines. 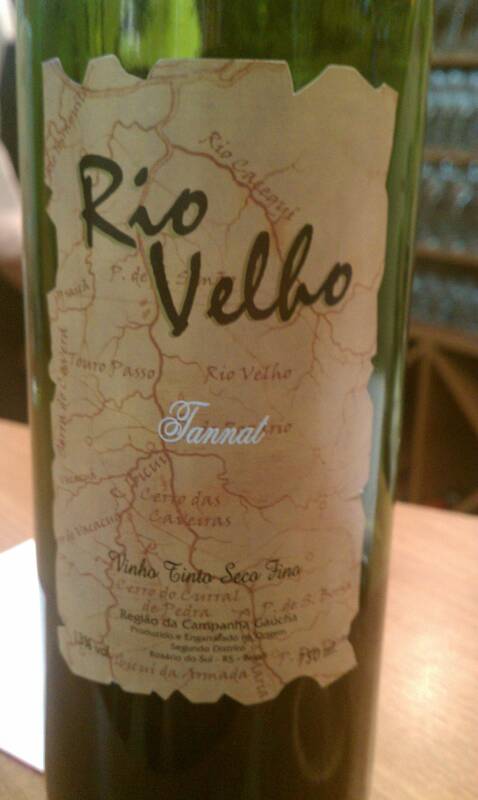 During our conversation and tastings we came across a Tannat from Rio Velhos (Old Rivers). 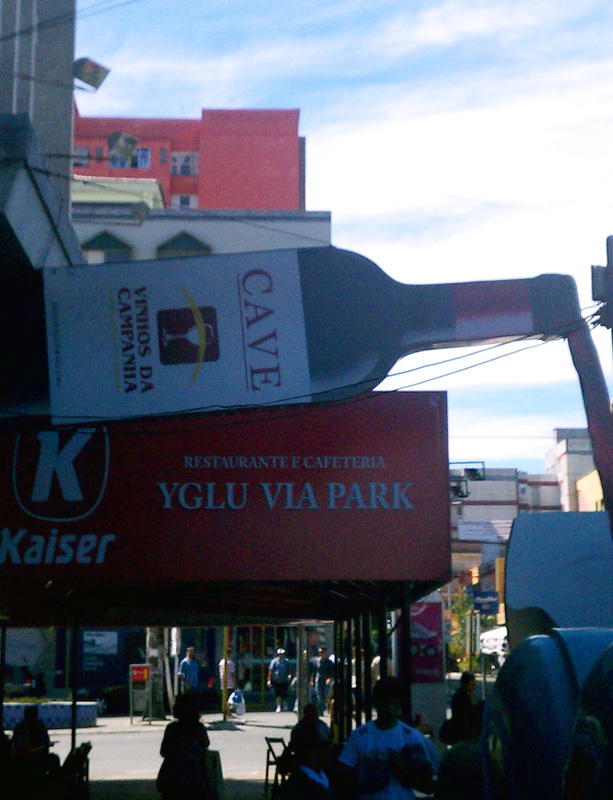 It was the least expensive wine in the shop costing a mere R $11, about US $6. This wine was full bodied, had structure and a long pleasing finish. Claudia saw the pleased expression in our faces and began to tell us the unique story about the wine. She went on to talk about the wine maker Paolo Menezes, a local guy from a nearby town, Rosario, who does everything by hand. When we say artisan wine, this is truly an artisan wine. He chooses to cold-ferment, however he does not have the machinery most wineries have. He does it all by hand and it is a process which takes 15 days to complete with 24 hour vigilance. A process that I somewhat understood but got lost in the translation from Portuguese to my Portoñol. But what I did understand was that every aspect of the vinification process was done by hand. Paolo even uses recycled bottles. This means that he has to wash every bottle, sanitize, use citric acid to disinfect and washes them again in hot water and finally dry them all by hand. A few months back, there was a large wine competition in which many of the Brazilian wineries submitted their wines to be evaluated. Paolo was asked to submit his Rio Velho Tannat, but Paolo declined. He said that he was not interested in submitting his wine for several reasons. First of all, he did not have the money to pay the entry fee. Secondly, he believes that competitions do not give an accurate account of what a wine is like. And finally, his production is small and would not have enough to meet demands. The reception following the wine competition was held at the Cava do Vinhos da Campanha. Rio Vleho was one of the wines served during the reception. Many of the judges approached him and said that if had entered his wine, he could have won the entire competition. They were so impressed with the Tannat that they asked him to enter next year free of charge. I had the chance to meet Paolo. Claudia set it up for Paolo to come and pick me up and take me through some of the different wineries near Livramento. 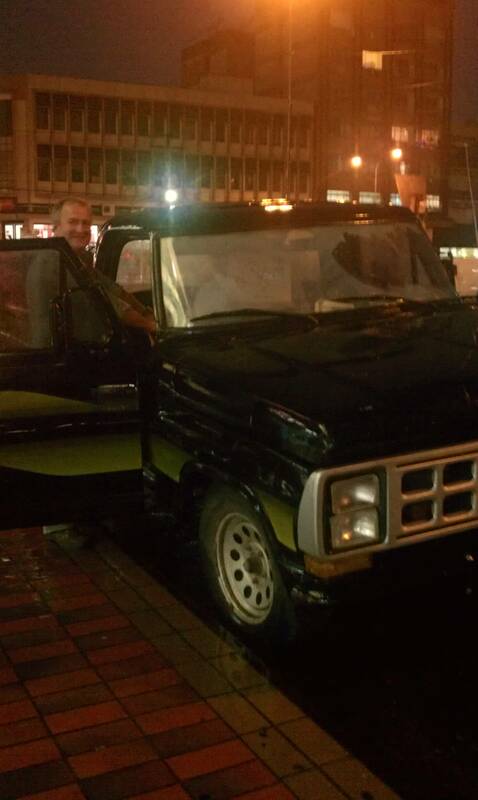 Paolo showed up in a 1988 Ford pickup, loved it! He drove me around in the rain with water dripping from the ceiling to the biggest winery of the region, Almaden. Almaden was built by an American company, Natural Distillers and was the first to come into the Campanha region. It was later sold to Seagrams, then to Pernod-Ricard, and now it is owned by the Brazilian giant, Miolo Wine Group. Almaden makes box wine, whites and reds all in screw caps, frizzante wines and sparkling wines. The business model is to produce for quick consumption. The wines are fruity and lean. They make up the majority of the Brazilian wine market. The wines cost about $3 a bottle and are easy to drink especially in the hot Brazilian sun. Paolo and I tasted through the wines, thanked them for the visit and headed off to the next winery. Along the way, Paolo spoke about the future of Brazil. The short video is Paolo explaining his personal believe of where Brazil is headed. 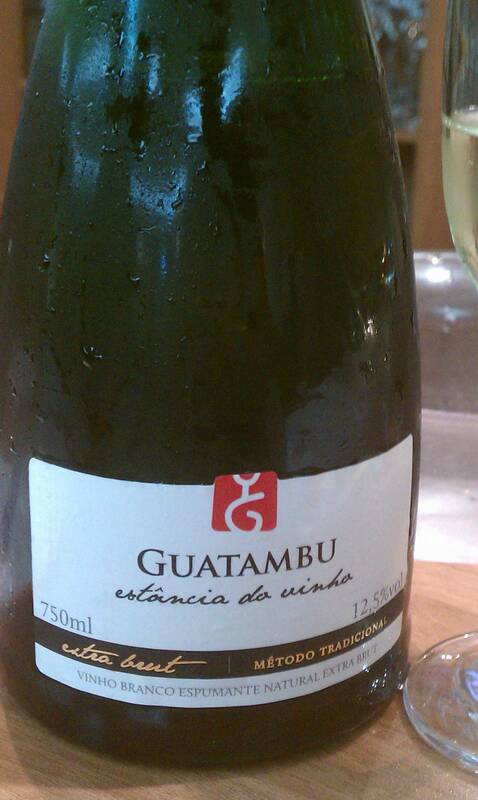 In a nutshell, he believes that the Serra Guacha should focus on Sparkling wines. The region is cooler and does not allow the grapes to reach high alcohol levels, which is ideal for sparkling wines made in the traditional method. In his opinion, the region of Campanha is the best region for reds. Campanha is a large wine region about 700 km long. The region is made of small rolling hills and flat plains. For the past several years the larger wine companies from the North have been investing in the Campanha. The land is less expensive and easier to farm than the mountainous region of the Serra Guacha. It sits on the 31st parallel and the climate is becoming more dessert-like making this an optimal location to experiment with reds. Paolo does not like Cabernet Sauvignon and although it is the most desirable wine in the marketplace, it does not have the quality of the wines made with Tannat. The Cabernet is light and fruity and does not have the body and structure that Tannat can have. Paolo believes that Brazilian wineries of the south should start to focus on producing Tannat; but more importantly, is blending it. The Uruguayan’s have made Tannat their grape. He believes that it grows better in Campanha and it will be better received if the grape is blended with Cabernet or Merlot. We arrived at the Cordihera de Santana, a much smaller winery than Almaden. The winery is the dream of Rosana and Gladivstao, a husband and wife who worked together as directors at Almaden. We were received by Lialane, the winery’s administrator. She led us through the facility. We started in the bottle room where workers were labeling bottles by hand. She then led us into the cellar where the wines are being held waiting for release. Each section of the cellar was clearly marked, 2005 Chardonnay!??! What did I read that correctly? Yep, they only made two Chardonnays in the past 7 years and the 2005 was released recently and the 2008 is being released as we speak. 2005 Cabernet is just chilling until the 2004 is diminished. The decision of when to produce another Chardonnay or Cabernet, is merely a result of how much wine is still in the cellar. If they are sitting on 2005 Cabernet then they will sell their grapes. Even if the vintage was extraordinary, there philosophy is to make wine only when the winery needs to replenish stock. Paolo was pretty baffled by this. He could not skip a vintage; he needs to make wine to pay the bills. Regardless of their philosophy, I was very impressed by the wines. After saying our goodbyes to Lialani, we got back into the Ford truck and drove down a muddy road back to the Cava do Vinhos da Campanha to see Claudia. 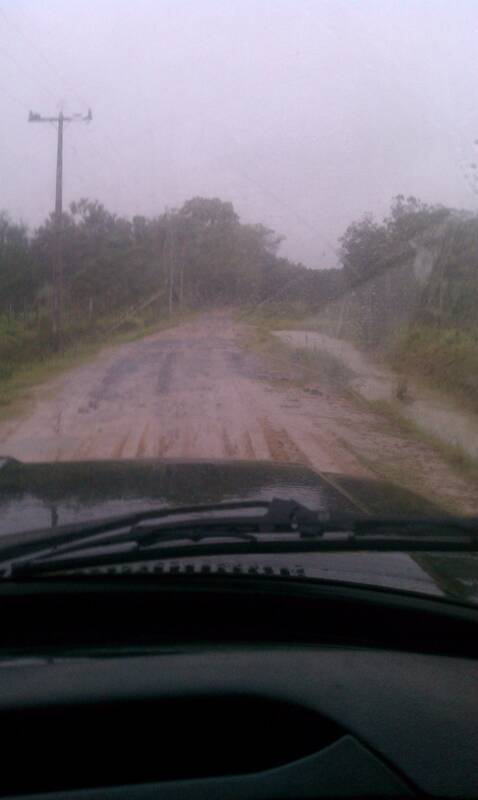 The excursion through the region of Campanha came to an end at the place where it all began. Claudia and Paolo are excited about their wine region and I believe that soon this region will be one of note. The world wine market is still waiting for the Urguayan wines to show well; this region might just be a better alternative for Tannat. Below is a basic insight to some of the wines of la Campanha Gaucha. Made of mostly Chardonnay, it is light and pale in color. It has aromas of peaches, yeast and brioche. The wine is austere in that the acidity is high and it finishes very dry with a limey fruit character. 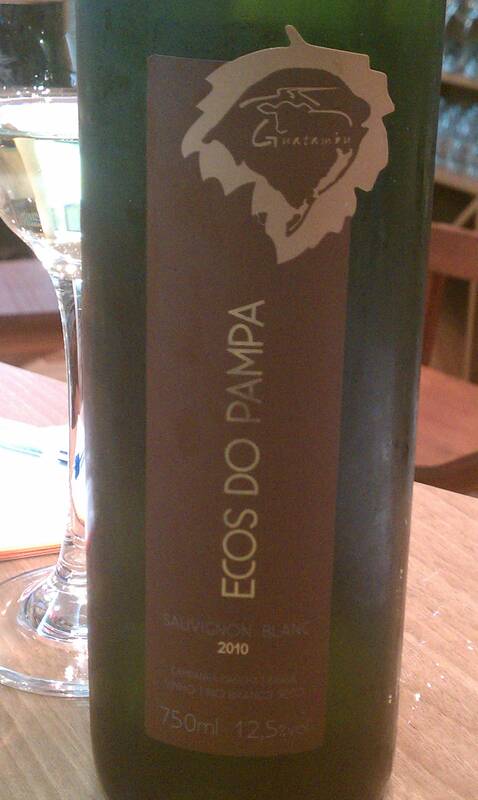 This wine was made to eat with Bacalao. It has aromas and flavors of melons, cantaloup, pear and green apples. I did not gt the grassiness of most Sauvignon Blancs. This wine is also austere with high acidity and has a clay like flavor which finishes salty. Terroir! Bacon, earth and black fruit. Aromas of alfalfa and hay with a cocoa and prunes. On the palate the wine is full and silky, the tannins are present but not over drying. There are flavors of plum skins and nuts. The wine is complex and well structured at only 13% alc. Great article. I know the wines from Serra Gaucha. I was in Bento Goncalves back in 1993 visiting Chateau La Cave, a project of Remi Martin of France. There I taste some of the most complex wines from Brasil: a 1985 tannat Reserva. I went back a few times just to realize that Chateau La Cave wasn’t there any more. Why? there was no market for well made Brazilian premium wines. The new discover in Brasil is a wine made in Vale Sao Francisco (Parallel 9, YES PARALLEL 9) in the Petrolina/Juazeiro triangle Nordestino. Its amazing how they are producing great wines in this region even though with the help of irrigation system from the Sao Francisco river. Any how I am familiar with the wine market in Brasil and it is a shame how a few powerfull wine import families block the majority of the people of Brasil the free access to the wine at a fair price. Thank you. Is it true that in the Nordestino the vines produce fruit twice a year? It looks like we will be seeing more Brazilian wine in the near future. Southern Wines and Spirits has just signed on to import Miolo, Valduga, Aurora and Perini. It looks like it will start in New York and Miami first. Yes, these wineries are the largest producers of Brazilian wines; but at least it is a start. We’ll see what happens. Cheers! The quality is there and the prices are reasonable. According to a survey by the Brazilian Wine Institute, wine importers around the world are discovering Brazilian wines and exports from Brazil are rising rapidly achieving a 12 percent growth in 2010 and 25 percent growth in 2011. Everytime time I talk about Brazilian wines pepole laugh. Brazil won its first ever Gold medal ( for a methode champenoise wine ); overall 25 wines from Brazil won 9 medals and commendations. Brazilian wines won over 30 medals. That’s what I heard. Wine is exploding all over the world and it is only a matter of time for people to start asking for Brazilian wine. Can’t wait to see what the future holds. I really like the minerality and the texture of many of the Brazilian wines.